A practical resource for valuing patents that is accessible to the complete spectrum of decision makers in the patent process In today's economy, patents tend to be the most important of the intellectual property (IP) assets. It is often the ability to create, manage, defend, and extract value from patents that can distinguish competitive success and significant wealth creation from competitive failure and economic waste. Patent Valuation enhances the utility and value of patents by providing IP managers, IP creators, attorneys, and government officials with a useable resource that allows them to use actual or implied valuations when making patent-related decisions. 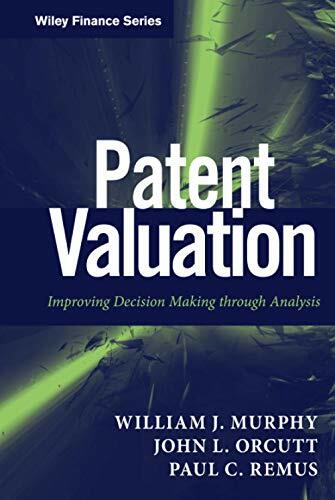 * Involves a combination of techniques for describing patent valuation * Includes descriptions of various topics, illustrative cases, step-by-step valuation techniques, user-friendly procedures and checklists, and examples * Serves as a useable resource that allows IP managers to use actual or implied valuations when making patent-related decisions One of the most fundamental premises of the book is that these valuation skills can be made accessible to each of the various decision makers in the patent process. Patent Valuation involves narrative descriptions of the various topics, illustrative cases, step-by-step valuation techniques, user-friendly procedures and checklists, and an abundance of examples to demonstrate the more complex concepts.